Business & Domestic. 10, 20 & 40 Foot Sizes. End & Side Opening Options. Accessories & Modifications. Short Contracts. Friendly advice. ..and there are literally hundreds of different uses that you can put it to. 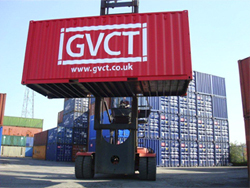 We have customers who use shipping containers as secure storage for tools and materials on building sites, as overflow storage when large shipments arrive and as temporary storage during office moves. And containers are easily modified to be turned into semi-permanent stock rooms, equipment workshops, site offices and even staff rest rooms. Using shipping containers isn’t limited to businesses. We have many domestic users too. You can use a container in the same way that you’d use any secure outbuilding, shed or other storage/workshop, except that it is very cheap to rent and can be easily sited exactly where you want. And when you’ve finished with it, just give us a call and we’ll take it away within three days.